An unusual event happened last week at Middle Tennessee State University, the alma mater of economist James M. Buchanan. Attempting to capitalize on that connection, the MTSU philosophy and religious studies department invited Duke University historian Nancy MacLean to deliver an attack on Buchanan based upon her book Democracy in Chains. MacLean gave her standard speech on this deeply flawed book. But something was different this time. Whereas almost all of MacLean’s public appearances to date have taken place in front of intentionally friendly audiences, or with interviewers who supply a succession of softball questions, this time she received push back from the audience. MTSU economics professor Dan Smith, who also directs the research center bearing Buchanan’s name, presented MacLean with a question about her repeatedly-asserted connection between Buchanan and segregationist newspaper editor James J. Kilpatrick during the “massive resistance” movement against Brown v. Board of Education. Kilpatrick is a central figure in MacLean’s thesis. He dominates the early chapters of her book, where she attempts to link Buchanan to the massive resisters. She repeatedly implies that Buchanan shared Kilpatrick’s affinities for the constitutional theories of John C. Calhoun, and even accuses Buchanan of secretly coordinating his advocacy of school vouchers with Kilpatrick’s attempts to stave off desegregation through the influence of his newspaper, the Richmond News-Leader. But Kilpatrick is also a problem for MacLean. As readers of this blog know, evidence of MacLean’s oft-asserted link between Buchanan and Kilpatrick on “massive resistance” is essentially non-existent. In fact, I’ve found conclusive archival evidence from the timeline that shows Kilpatrick was not even aware of Buchanan and his colleague Warren Nutter’s essay on school vouchers until only a few days before it appeared in print in the rival Richmond Times-Dispatch in mid-April 1959. The political persecution of Harwood appears to have originated in the highest ranks of the Roosevelt Administration. As Harwood later recounted, an investigator showed him a copy of the Bulletin containing a handwritten directive to “investigate and stop this.” It was signed by Lauchlin Currie, a former Harvard professor who became Roosevelt’s chief adviser on economic affairs in 1939. Did Buchanan Support Segregated School Vouchers? t has become de rigueur, even among libertarians and classical liberals, to denigrate the benefits of the American Revolution. Thus, libertarian Bryan Caplan writes: “Can anyone tell me why American independence was worth fighting for?… [W]hen you ask about specific libertarian policy changes that came about because of the Revolution, it’s hard to get a decent answer. In fact, with 20/20 hindsight, independence had two massive anti-libertarian consequences: It removed the last real check on American aggression against the Indians, and allowed American slavery to avoid earlier—and peaceful—abolition.”1 One can also find such challenges reflected in recent mainstream writing, both popular and scholarly. Several months ago I wrote a lengthy post on an intriguing historical discovery. In March 1959, Charlottesville, Virginia school board attorney John S. Battle, Jr. laid out a case that school vouchers posed an existential threat to racially segregated schooling. Battle was an outspoken segregationist and member of the Virginia political elite. His father served as Governor of Virginia from 1950 to 1954, and his own connections extended deep into the political machine of U.S. Sen. Harry Flood Byrd, Sr. After the 1954 Brown v. Board of Education ruling, Battle became one of the preeminant anti-integration litigators in the commonwealth. From 1957 to the mid-1960s he was the lead counsel for the defense on dozens of school integration legal proceedings, facing off against the NAACP’s Oliver Hill. 6/25/17 - Russ Roberts publishes a short article on Medium, showing that MacLean appears to have intentionally edited a quotation by Tyler Cowen to alter its meaning. He offers her an opportunity to respond. 6/26/17 - MacLean replies, but instead of explaining her edits of the Cowen quote she attacks Roberts' motives on account of his relationship to Cowen. 6/27/17 - I publish a critique of MacLean's misuse of evidence about the Agrarian poets on HNN, a news aggregation website for academic history. The editor - with my express permission - extends her an invitation to respond. 6/28/17 - Jonathan Adler extends MacLean an invitation to answer the mounting criticisms of her book on the Volokh blog, then hosted by the Washington Post. For your reference purposes, here is a spreadsheet of documented factual errors, misrepresentations of evidence, and outright fabrications in Nancy MacLean's "Democracy in Chains." As of right now the list stands at over 60 and is growing. Since she's back in the news with a new wave of book awards and scurrilous attacks on her critics, I figured it was time to make it sharable. "To millions of Americans Franklin Delano Roosevelt was a sincere, warm human being who felt a deep love for the people. Roosevelt may have loved 'the people' in the abstract, but when one examines his heartless, disloyal and ultimately ruinous treatment of individuals he pretended to befriend, it makes one stop and wonder if he every did anything without considering his own political self-interest." Lyle W, Dorsett, Franklin D. Roosevelt and the City Bosses ​(Port Washington, N.Y. : Kennikat Press, 1977), 49. Jacobin Magazine recently put out a new podcast to promote Democracy in Chains by Duke historian Nancy MacLean. While the bulk of the episode simply repeats the conspiratorial claims found in MacLean’s book, it takes an interesting turn around the 27 minute mark when the host asks her to respond to her critics. While the host attempts to limit the focus to two of MacLean’s left-leaning critics, Henry Farrell and Steven Teles, MacLean quickly turns her ire to other unnamed critics of the book. Of McLain and "Of Mess and Men"
Bogue had a habit of assigning this article (a critique of historian James Sterling Young's methods) for his students . It was intended as a cautionary tale illustrating the dangers of academic misconduct. Bogue particularly called our attention to pages 225-26 (see below) which featured Young's edited quotation of the words of Rep. Josiah Quincy alongside the full original quotation. The upshot, as emphasized by Bogue, was that Young had misled his readers by twisting the actual meaning to fit his thesis. I doubt that anyone who sat through this seminar would have forgotten it. During other weeks of the seminar, Bogue reeled off similar examples of academic misconduct. These were more than classroom exercises. As a leader of the profession (he was a past president of the Organization of American Historians), Bogue often went out of his way to expose colleagues guilty of similar offenses, even when it risked the loss of long-time friends. Several defenders of Democracy in Chains have argued that the book's critics don't understand the methods and practices of "intellectual history." I argue here that the book fails as an intellectual history as well, because its author completely misses the central role that philosopher Thomas Hobbes played in Buchanan's body of scholarship. MacLean's narrative about UVA is badly flawed. In order to portray Buchanan as a collusive and acquiescing partner of Virginia's segregationist political machine, she omitted a critical piece of evidence that contradicts her narrative. Our screenplay (co-authored by Linda Royster Beito), "Keepin' It Mighty Hot," which focuses on T.R.M. Howard's role in the Emmett Till case, won first prize the 2017 Screenwriting Competition of the Alabama Writers Conclave. The Conclave is one of the oldest writers' organizations in the United States, and probably the leading one in the state. It supports aspiring writers and artists. The picture shows Howard in his office at the Friendship Medical Center in Chicago (about 1973). In her new book about the origins of the radical right she claims that economist James M. Buchanan drew his inspiration from the segregationist poet Donald Davidson. But her story appears completely made up. David Henderson on MacLean's "Democracy in Chains." Russ Roberts takes on my former classmate at the University of Wisconsin at Madison, Nancy MacLean author of Democracy in Chains: The Deep History of the Radical Right's Stealth Plan for America. 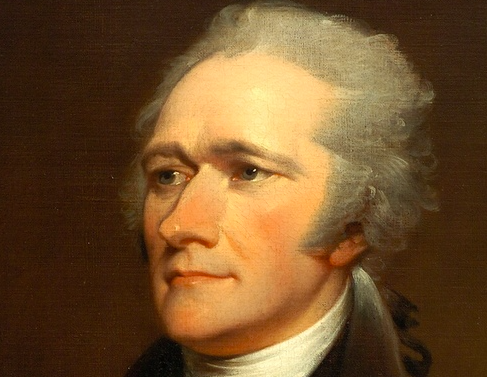 Hamilton's lionized by biographers as an abolitionist. But the record is clear that this is an overstatement. Wasserman’s claim chafes with the history of the 1970s program, even to the extent that many of the economists he places on the outside of the aforementioned revival – Fritz Machlup and Gottfried Haberler – were actually active participants in a much broader discussion than his narrative permits. The first modern Austrian conference occurred in June of 1974 at South Royalton, Vermont, and is ably recounted in an article by the late John Blundell. I conversed extensively with Blundell about this and other events of the Austrian resurgence before he passed away last summer, making an effort to document the economists of note who participated in these formative conferences and panels. What struck me at the time, and what Blundell repeatedly emphasized, was the broad range of prominent scholars who took an interest in what was happening in the Austrian camp at this point in history. Not all agreed with a doctrinaire reading of Hayek and Mises, but contrary to Wasserman’s claim, the “revived” Austrian school of the 1970s had multiple thoroughly ecumenical dimensions that linked it back to its historical early 20th century presence in Vienna and London. The most glaring omission in Wasserman’s piece is undoubtedly Ludwig M. Lachmann, a German-born economist who studied the original Viennese Austrian school in the 1920s, subsequently taught with Hayek at the London School of Economics, and went on to a lengthy academic career at the University of Witwatersrand in South Africa. Along with American-trained Austrians Israel Kirzner and Murray Rothbard, Lachmann was one of the three primary lecturers at the 1974 conference. He lectured at 11 additional IHS conferences before his death in 1990, and spent his retirement on an annual winter visiting professorship at NYU from 1975 to 1987. The 1970s revival drew in multiple other veterans of the Austrian school’s Vienna and LSE days. 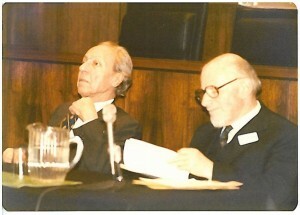 The German-born Emil Kauder, an important interpreter of Carl Menger, participated in the 1975 Austrian conference in Hartford, Connecticut. Princeton’s Fritz Machlup, presented by Wasserman as having been largely excluded from the modern Austrian resurgence, was actually an active presence during the “revival” years. Though distinctively cautious in his own liberalism, he brought substantial credibility to the “new” wave of Austrian scholarly output, working in particular with the University of Virginia’s Leland Yeager and Lawrence Moss to establish what became a lasting Austrian presence at mainstream academic conferences. To this end Machlup chaired an important early session on Austrian thought at the 1974 Southern Economics Association meeting, which was also published in book form, presided over a lunch panel on Austrian thought at the 1975 American Economics Association conference (attended by Haberler as well as future Nobel winners James Buchanan and William Vickrey), and lectured at the 1978 IHS Austrian conference at NYU. Haberler similarly attended a number of Austrian-themed events that IHS sponsored in the early 1970s, as did multiple LSE era veterans of note who crossed paths with Hayek in the 1930s. Other recurring presences at these Austrian events from broadly aligned intellectual traditions included such notables as Buchanan, Harold Demsetz, and Gordon Tullock. The LSE group sometimes hailed from outside the Austrian camp, though its members actively conversed with the Austrian literature and shared the common link of studying under Hayek in the 1930s. Two of his students Abba Lerner and G.L.S. Shackle each attended an Austrian in 1974, and Shackle contributed a paper to an IHS-sponsored book of essays on new Austrian research themes. Hayek’s old LSE colleague Lionel Robbins similarly addressed an Austrian conference organized by the London-based Carl Menger Society in 1976, with Hayek present as a commentator and his old LSE student Arthur Seldon as an organizer. John Hicks, the famous Keynesian economist and fellow Nobel laureate, also presented at the 1978 NYU Austrian conference. He contributed a chapter to a book on new Austrian research themes that grew out of the event, praising the anti-inflationary insights of the Austrians and suggested the broader discipline needed room for Mises and Keynes alike. Lachmann – whose academic association with Hicks went back over four decades – provided the response. Now it is entirely fair to note that these names include a very diverse and eclectic group. Some such as Lachmann were central contributors to the Austrian resurgence, whereas others simply crossed paths with the historical Austrian tradition at Vienna and LSE. Yet these conferences, panels, books, articles, and edited volumes were all components of an effort to rejuvenate the Austrian scholarly tradition of old, and tap into its renewed academic interest after the South Royalton meeting and Hayek’s nobel. Plainly that interest extended well beyond the “small group of [libertarian] businessmen and radicals” of Wasserman’s simplistic and ideologically tinged portrayal. Of equally important note, Wasserman grossly misunderstands the historical transmission of Austrian thought to the United States. In his telling, this event flows from Hayek’s 1945 book The Road to Serfdom, and only gains traction after a subsequent generation of libertarian businessmen and other pejoratively-categorized “neoliberals” adopted it into a free market ideological canon. He makes no mention of the prior academic transmission of Carl Menger and Eugen von Boehm-Bawerk through their own German-trained American contemporaries at the turn of the 20th century. These so-called American-Austrians included Princeton’s Frank A. Fetter and Cornell’s Herbert Davenport, both of whom served terms as president of the American Economic Association. Fetter almost single-handedly introduced the Mengerian concept of subjective value to the American economic scene, and later laid the groundwork for a favorable reception of Mises’ work in the United States. Davenport largely framed the Austrian school’s reception in the United States with a series of important essays on its distinct contributions to economic thought. Of equal note, two of his graduate students played significant roles in subsequent American engagement with Austrian ideas. 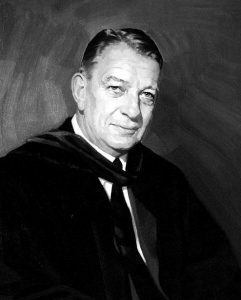 During his long tenure at Cornell, Davenport was the PhD adviser of Frank Knight of later “Chicago school” fame and, less known, F.A. “Baldy” Harper – the founder of IHS who laid the groundwork for the modern Austrian revival before his untimely death in 1973. Stunningly, Wasserman seems to be completely unaware that this parallel transmission of the original Austrian school to the United States even occurred. Rather, he views the modern Austrian school in strictly ideological terms that often approach caricature levels. This includes asserting a superficial free market idealism that its modern academic practitioners generally do not espouse, yet in doing so Wasserman also betrays that he does not actually understand the tenets of his subject matter. Modern Austrians are not skeptical of government economic interventions because they violate some sacred laissez-faire ideological precept, and they do not gravitate towards classical liberalism from a belief that markets can do no wrong. Rather it is the Austrian concept of subjective value that makes its practitioners deeply skeptical of the efficacy of economic planning. An Austrian predilection for classical liberalism is not the cause of this belief, but is rather its commonly derived consequence. “Though some contend that economics is completely and permanently separate from the concerns of political and philosophical matters, most of the persons of the Austrian School of economic thought have been of the classical liberal position. There have been variations, of course, in detail; and the classical liberal position has also been upheld by persons of widely different economic views. But in the main there has seemed to be a close relationship between the two. Wasserman would do himself well to attempt a more charitable understanding of this position as well as the rich historical literature on the subject of the modern Austrian tradition before proceeding to more ambitious projects on this subject. My previous posts on the data problems in Piketty’s Capital in the Twenty First Century have focused almost entirely on errors contained within his data charts and files. But what happens when one tries to reconstruct those files? To find out, I conducted a simple experiment using Piketty’s Figure 10.5 – the widely cited depiction of wealth inequality in the United States over the past century. I previously deconstructed and critiqued this chart at length, concluding that it is essentially a Frankenstein graph – a clunky assemblage of cherry-picked data points from multiple divergent sources and arranged in an order that seems to confirm Piketty’s historical narrative about a dramatic upturn in inequality since the early 1980s. The purpose was to reconstruct Piketty’s chart using his own source data and techniques, only I would cherry-pick different “representative” numbers than Piketty did from within those sources as needed. 1. I had to use the same data sources that Piketty used in constructing the original. These consist of the estate tax study by Kopczuk & Saez (2004) and SCF studies by Wolff (1994, 2010) and Kennickell (2009, 2011).